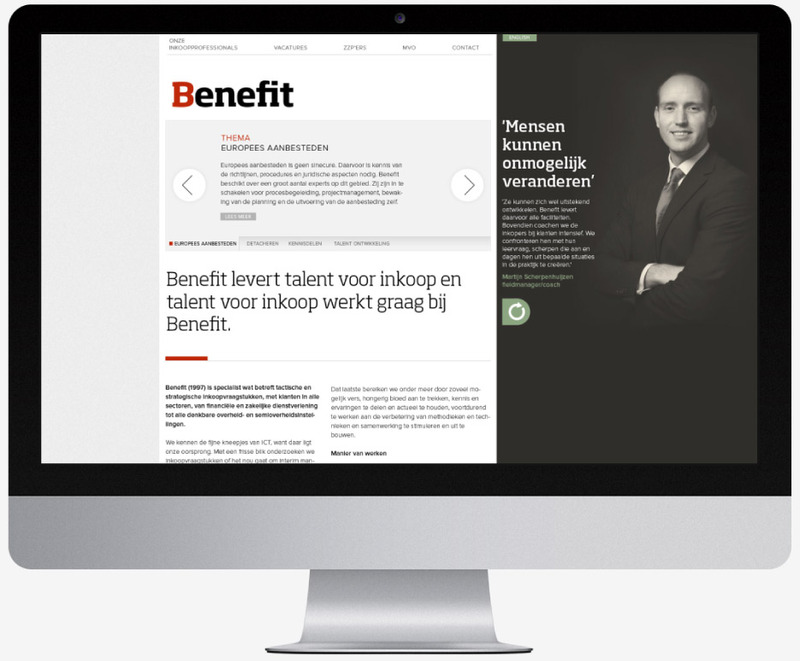 In a turbulent market, Benefit decided to strategicly position themselve as a innovative and open minded organisation. What started as a rebranding process with a new logo and website evolved into a continuous proces of improvement. In close cooperation with the Benefit communication division we created a online platform for knowledge sharing for all Dutch procurement professionals. The intranet and app, in combination with the recurring events create a strong engagement with the community of Dutch procurement professionals and sets Benefit apart from it's competitors.